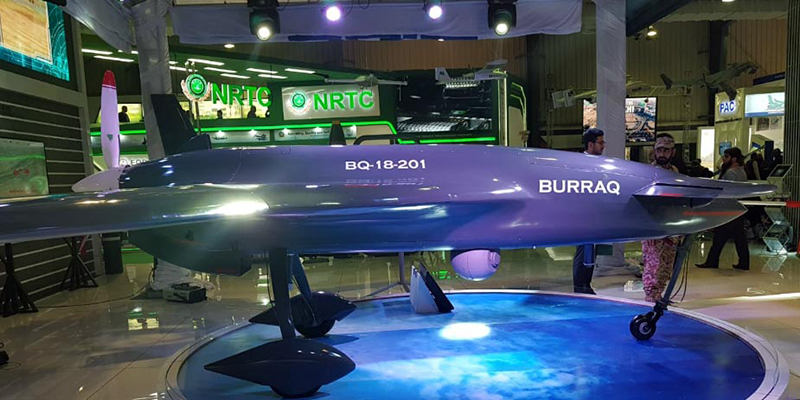 Pakistan introduces Drone “Burraq” on the second day of the tenth International Defence Exhibition and Seminar (IDEAS 2018) in Karachi on 28th November 2018. The Drone or Unmanned Aerial Vehicle (UAV) is capable of flying at the altitude of 16000 feet for up to ten hours. Besides that, is built by the NESCOM independently. Conspicuous-Burraq Multi-Role UAV. Most importantly, this Drone is market by Global Industrial & Defence Solutions (GIDS). The drone was introduce by Vice Chief of Naval Staff Vice Admiral Kaleem Shaukat. Because, he is one of the chief guests of the exhibition being organize under the aegis of the Defence Export Promotion Organization at the Karachi Expo Centre. 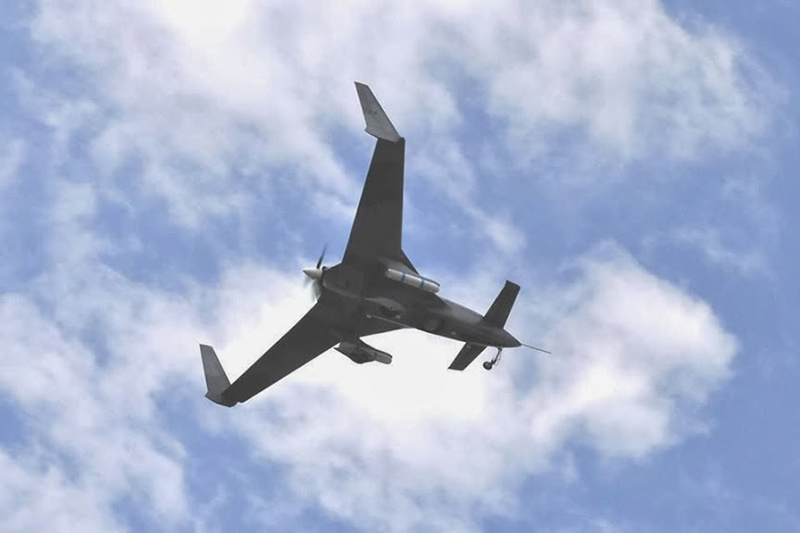 Most importantly, GIDS describes Burraq as a medium-range tactical UAV with autonomous take-off and landing. Besides that, it is stealth, UAV Drone. Conspicuous-Burraq Multi-Role UAV. Therefore, it say to be able to carry various types of payloads integrates for reconnaissance and day and night surveillance. This Drone is very effective in hunting the enemies down especially in the cliffy mountainous areas. Most importantly, Pakistan Army is witness to its effectiveness in the field. Therefore, the multi-role Drone was mainly utilize in Operation Zarb-e-Azb and Operation Radd-ul-Fasaad. Besides that, Burraq is the result of a longstanding effort on the part of the Pakistani Armed Forces to acquire armed UAVs. Besides that, the lenght of this Drone is 22.97 feet (7 meters). Therefore, the width of Burraq is 29.53 feet (9 meters). Conspicuous-Burraq Multi-Role UAV. 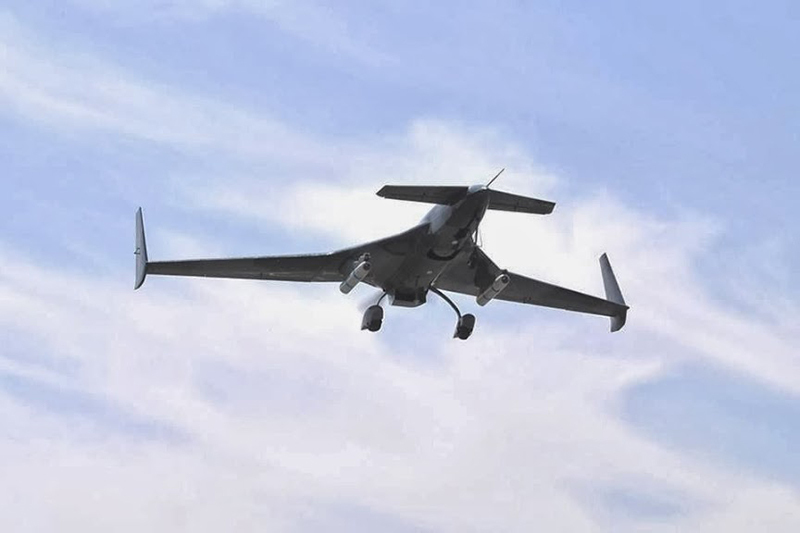 Most importantly, the height of Burraq multi-role UAV is 6.56 feet (2 meters). The weight of this UAV in empty position is 1,102 pounds ( 500 kilograms). Most importantly, the weight of this UAV with MTOW is 2,205 pounds (1,000 kilograms). Besides that the engie is 1 x Conventional engine driving three-blade propeller in pusher arrangement. Therefore the maximum speed of this Drone is 134 miles-per-hour (215 kilometers-per-hour; 116 knots). Most importantly, the range is 621 miles (1,000 kilometers; 540 nautical miles). Conspicuous-Burraq Multi-Role UAV. IDEAS 2018, being the most strategically important event of the region, will once again bring together all the industry’s players across the globe to showcase the latest technological innovations. Therefore, the 4 days of the Show are exclusively for trade visitors and high official defence delegates.